Sophomore Kristian Fairbanks battles against Everett senior Brett Allred. The match went into overtime; Allred won it 14-12. Everett WA.- The Arlington Boys Wrestling team got off to a hot start against the Everett Seagulls last Thursday. The match, which started at the 126 weight class, saw a series of wins for the boys program. Will Rush (’18) who wrestled at the 132 weight class was able to pin his opponent and give the Eagles a 9-0 lead. 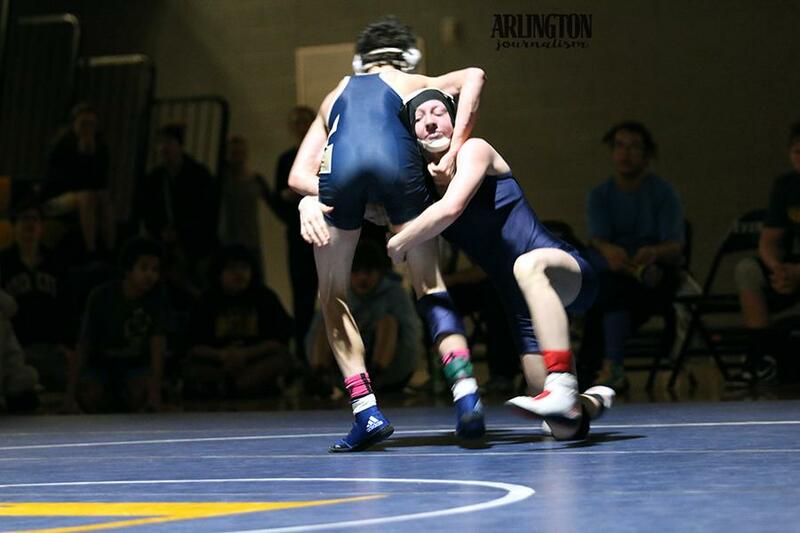 Both Christian Evanger (‘17) and Gavin Rork (‘18) won their respective matches at the 138 and 145 weight classes, by this point in the competition the match saw Arlington triumphantly beating Everett 20-0. The later half of the match was a little bit of a roller coaster ride for the Eagles. Wins were followed by losses but the boys program kept a comfortable lead throughout their competition. Kristian Fairbanks (‘19) who gave a hard fought performance lost his match in overtime. Both Arlington and Everett went into Thursday’s match with undefeated records in conference play. Arlington improves to 8-0 overall and sits at the top of the Wesco 3A North standings. On the other hand, Everett falls to third place with their first loss of the season. Arlington remains as only one of three teams still undefeated through the regular season. The other two being Edmonds Woodway, who top the Wesco 3A South standings and Marysville Pilchuck, who are currently in second behind Arlington. After a weekend of wrestling at the Willie C. Stewart Invite, The Eagles face the Cascade Bruins in conference play. That match will be set to take place Tuesday the 24th and will be held at Cascade High School. Senior Cooper McAuslan wrestled up a weight class on Thursday, January 19. 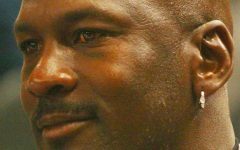 He won his match at 182 6-5. Arlington’s Jordynn Mani (’17) ultimately lost the tough match-up at 113lbs. Levi Wiseman, a sophomore, pinned his opponent in Everett on January 19.